Volume 4, Edition 36 Trouble loading? View this email online. 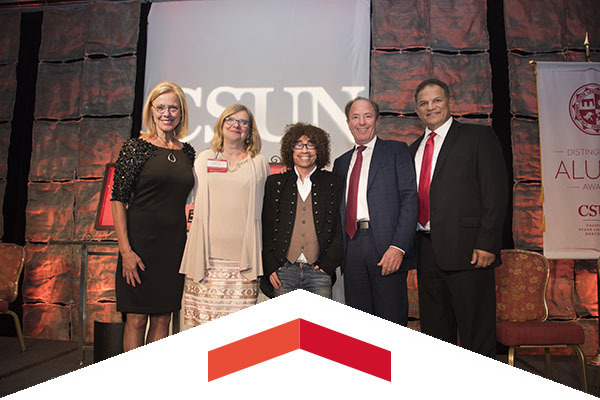 A moving evening was highlighted by investment banking titan Milton Berlinski ’78 (Computer Science), STEM pioneer Patricia Maloney ’80 (Chemistry) and reality TV trailblazer Mike Darnell ’87 (Communication Studies) sharing how their CSUN education helped catapult them to accomplished careers. 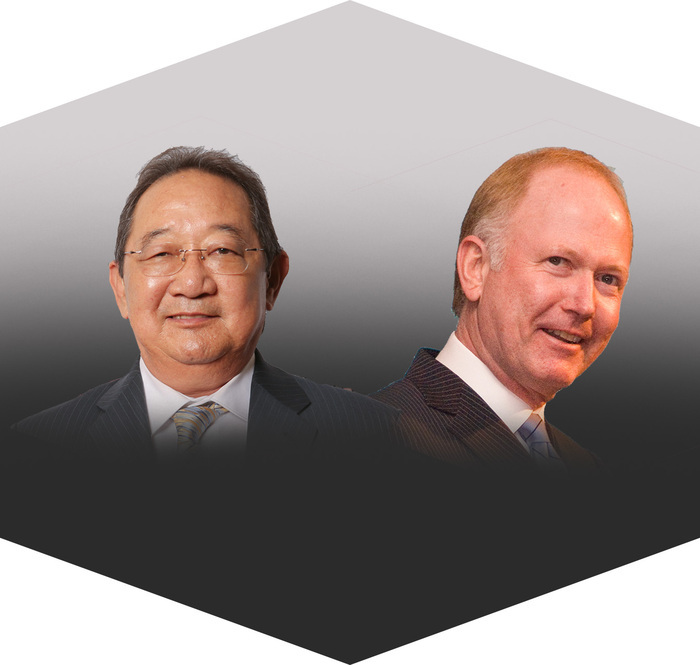 CNBC financial journalist Bill Griffeth and President and CEO of Asian American Drug Abuse Program Michael Watanabe will receive honorary doctorates from CSUN during commencement proceedings. 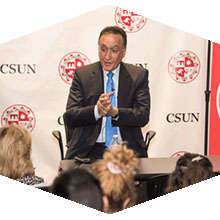 The former Secretary of the U.S. Department of Housing and Urban Development examined the contemporary urban economy during a lecture at CSUN’s David Nazarian College of Business and Economics. Fri, May 5, 7 p.m. This documentary shines a light on one of the largest humanitarian disasters of the 21st Century – an ongoing, six-year war that has displaced more than half of Syria’s population. This free showing is open to the public. Man of La Mancha tells the incredible story of Don Quixote and his pursuit of the impossible dream. His dream is every man’s dream and his tilting at windmills is every man’s adventure. Tue, May 9, 3 p.m. Celebrate the final Tuesday home game of the season by receiving a free taco as the Matadors take on the Roadrunners. Eight commencement proceedings start up with Honors Convocation the evening of May 13 and continue May 19-22, with all celebrations taking place on the lawn in front of the Oviatt Library. The annual Honored Faculty Reception will begin at 1:30 p.m. in the Grand Salon, USU. Faculty awards will be presented for Outstanding Faculty; Distinguished Teaching, Counseling or Librarianship; Scholarly Publication; Creative Accomplishment; Extraordinary Service; and Visionary Community Service Learning. Emeritus professors and faculty completing milestone years of service will be honored. Refreshments will be served. CSUN’s most advanced acting and directing students have been hard at work this spring on a production of Tony Kushner’s Pulitzer- and Tony Award-winning Angels in America, Part I: Millennium Approaches, which will conclude on May 7. Titled Transcendent, the annual TRENDS fashion show will showcase the creations from CSUN student-designers, who are also getting some help from alumni to launch their careers. Please join the CSUN Art Galleries and the Department of Art during the opening reception for the 2017 MA/MFA Graduate Exhibition on May 6 from 4 to 8 p.m. The exhibition will be on display May 6-27 in the CSUN Art Galleries. A group of CSUN Baseball players went to Northridge Little League, where they were given the opportunity to help out with a Challenger League game, which was created for kids with special needs to play baseball. Come to CSUN for the ultimate relaxation experience at the Oasis Wellness Center. There will be special guest speakers and events that will educate and further relax the mind and body. Special door prizes will also be given away. This event is open to everyone. RSVP today for only $5. This event is from 9:30 a.m. to 1:30 p.m.